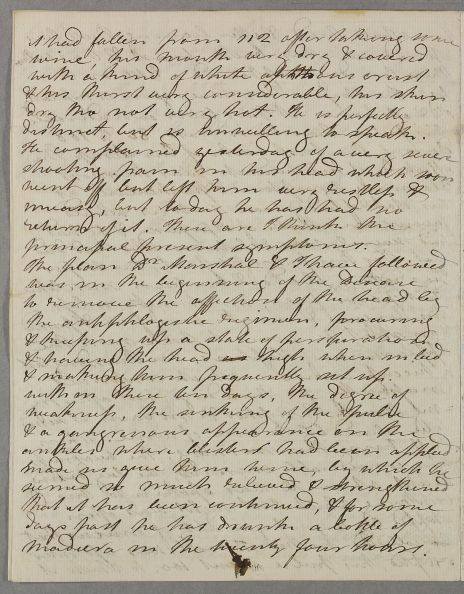 Letter from William Hamilton, concerning the case of Mr Hyndman, a 'very fat' man, over 60, whose case he sends 'At the desire of Mr Hyndmans friends'. 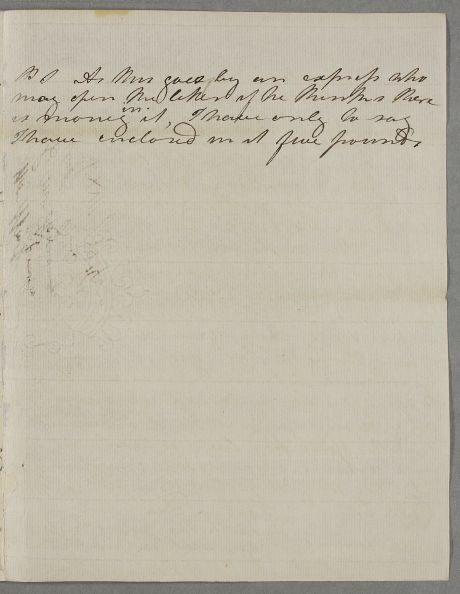 He has come up from London and been taken ill at his friend Mr King's house, near Port Glasgow. 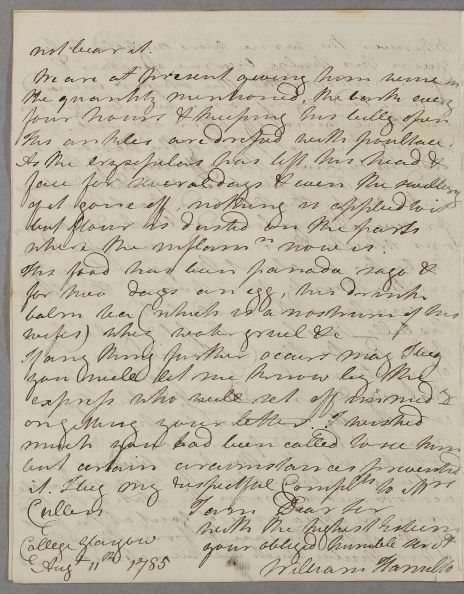 Hamilton sees signs of apoplexy and erysipelas in his condition, and an affection of the throat which is reminiscent of typhus. His ankles seem to be gangrenous where blistered. 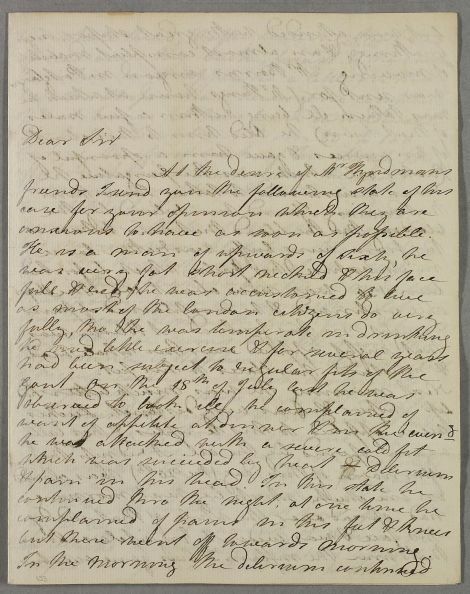 Hamilton is sending the letter by an express, with the fee enclosed. 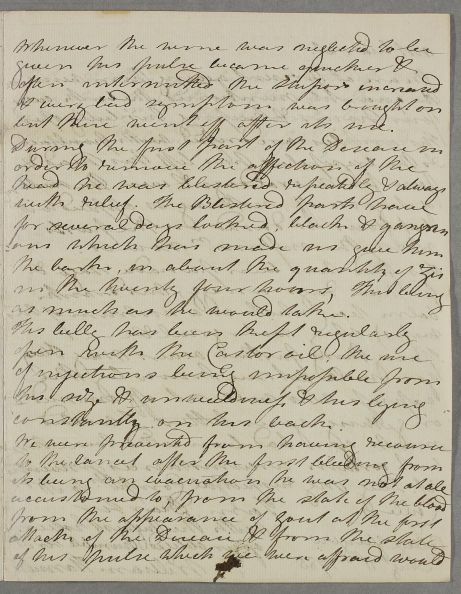 Summary Letter from William Hamilton, concerning the case of Mr Hyndman, a 'very fat' man, over 60, whose case he sends 'At the desire of Mr Hyndmans friends'. 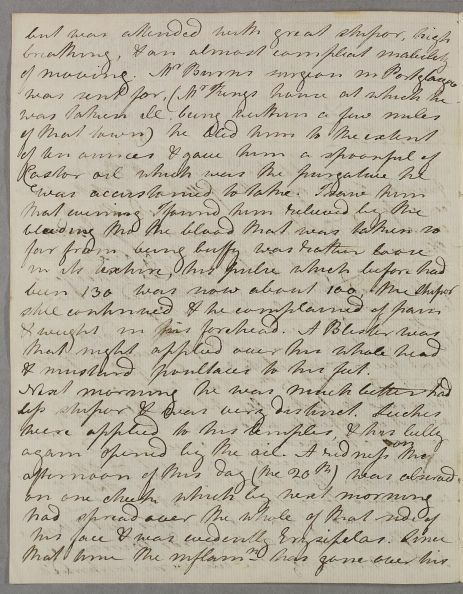 He has come up from London and been taken ill at his friend Mr King's house, near Port Glasgow. 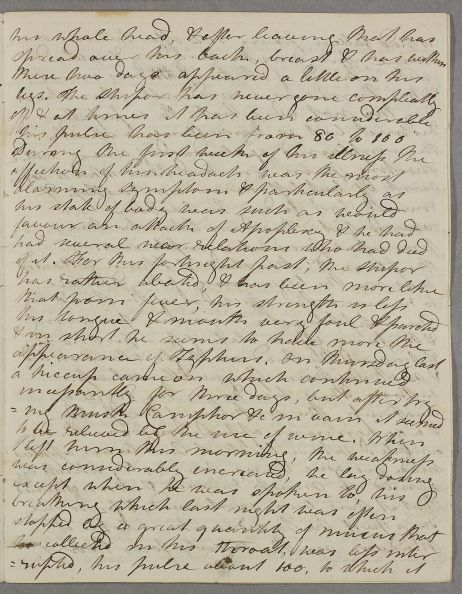 Hamilton sees signs of apoplexy and erysipelas in his condition, and an affection of the throat which is reminiscent of typhus. His ankles seem to be gangrenous where blistered. 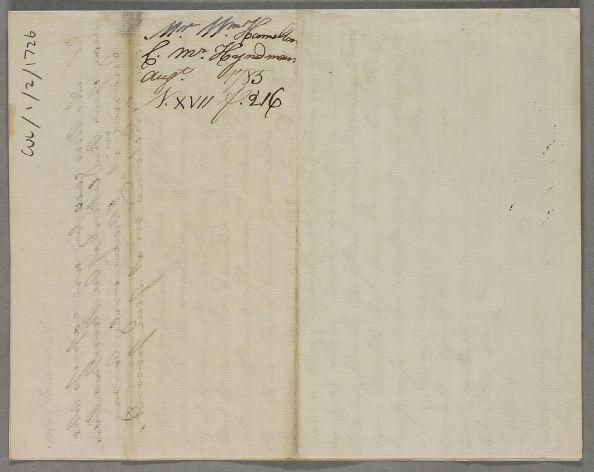 Hamilton is sending the letter by an express, with the fee enclosed. anxious to have as soon as possible. but these went off towards morning. & mustard poultices to his feet. distinct, but is unwilling to speak. & making him frequently sit up. Madiera in the twenty four hours. but then went off after its use. as much as he would take. His ankles are dressed with poultace. where the inflammation now is. want of appetite at dinner & in the eveng. where the inflamn. now is. express who will set off immedy.